imagine the smell of that stinky crackhead giving birth! There was a teen who gave birth while walking with her parents, the baby dropped out, and she kept walking leaving the baby on the ground. It is on here somewhere and I don't recall which country it was. 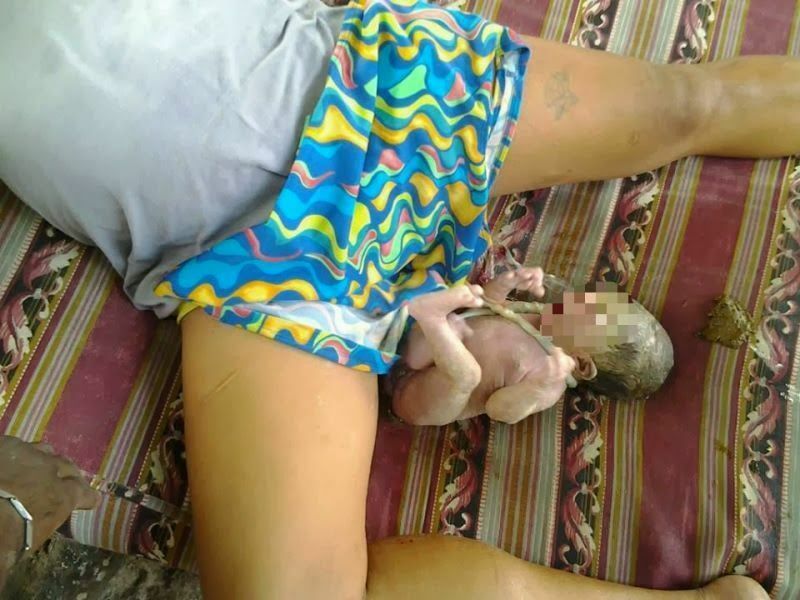 [09/18/2013] - A woman who would generally be found wandering the streets of Brazil in a crack educed haze, gave birth on the side of the road. At least someone pulled her off to the side of the street, and threw her on a mattress, before the thing popped out. Time to 'cut the cord' ! Keep the baby, throw her in the trash. I like how they blurred the baby's face, like all freshly born infants don't just look like a smooshed Uncle Fester.